On December 9, 1985, Pixar Animation Studios became incorporated in California. By this point, the company had several successes in computer animation while working for Lucasfilm, including the “Stained Glass Knight” sequence in Young Sherlock Holmes and The Adventures of Andre & Wally B, the first computer animated short film by the studio. In 1986, Steve Jobs completed the purchase of the company from George Lucas and Lucasfilm, officially becoming the independent company Pixar. Posted in Uncategorized and tagged 1980s, Animation Studio, Business, Pixar. Bookmark the permalink. On January 11, 2016, it was announced that President and CEO of Nike, Inc., Mark G, Parker, was elected to the Walt Disney Company Board of Directors. Parker began at Nike in 1979 as one of the company’s first footwear designers, and moved up the ranks to become the CEO and President in 2006. Parker is also renowned for expanding the growth of the company’s global business portfolio, along with leading the way in product design. His addition to the board brings the membership of the Disney Board of Directors to 12. Posted in Uncategorized and tagged 2010s, Announcement, Business, Corporate, The Walt Disney Company. Bookmark the permalink. On November 12, 1957, the Walt Disney Company’s first stocks were listed on the New York Stock Exchange. The stock closed at $13.75 on its first day ($118.14 when adjusted for 2016 inflation), and managed to jump to a close of $59.50 in April of 1959 ($493.64 when adjusted for 2016 inflation). Since its introduction in the NYSE, Disney stock has been of the top performers, with an initial $1 investment in 1957 estimating to be worth at least $5000 today. Posted in Uncategorized and tagged 1950s, Business, Debut, Financial, Walt Disney Company. Bookmark the permalink. On February 21, 1996, the first online offering from Disney, known as Disney.com, went live. The purpose of the site was to provide information pertaining to all things Disney, including past, present, and upcoming feature films, offerings from the assorted television channels, information about the theme parks, and showcases of Disney merchandise. 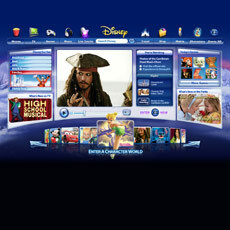 Since the live date, the site has undergone several changes, including a major overhaul that was announced by CEO Bob Iger in 2007. A new service called Disney Xtreme Digital (Disney XD) was unveiled the same year, but was later de-emphasized and removed to become the name of a new Disney digital cable channel. Posted in Uncategorized and tagged 1990s, Business, Online, The Walt Disney Company, Website. Bookmark the permalink. On February 9, 1996, the learning center The Disney Institute opened at Walt Disney World. Opened by Michael Eisner, the idea of the vacation experience was to provide guests a selection of over 80 interactive programs in eight categories: Entertainment Arts, Performing Arts, Story Arts, Design Arts, Culinary Arts, Lifestyles, Gardening & the Great Outdoors, and Sports & Fitness. The experience was held at the Disney Village, which included facilities for all of the programs, which included animation studios, culinary studios, and a 225-seat amphitheater. By the summer of 2000, the focus of the Disney Institute shifted from casual guests to programs that accommodated corporate offices and guests, teaching professional development. The last guests for the old version of the Disney Institute stayed at the resort on February 11, 2002, and was replaced by the Saratoga Springs Resort, a part of the Disney Vacation Club. Although there is no permanent location for the Disney Institute, it still operates, providing seminars and workshops in the following: Leadership Excellence; Selection, Training, & Engagement; Quality Service; Brand Loyalty; Creativity & Innovation; and Business Excellence. Posted in Uncategorized and tagged 1990s, Attraction, Business, Disney Park, Seminar. Bookmark the permalink. On December 4, 2012, Disney announced a deal with the online streaming service Netflix, making them the exclusive U.S. subscription television service for Disney films, which includes the Disney catalog, but films from four of Disney’s subsidiaries: Pixar, Marvel, Disneynature, and Disney Animation. This deal was reached after Netflix’s contract with Starz expired in February, 2012. The exclusive part of the deal begins with Disney films released in 2016, although Netflix is currently streaming several Disney animated classics and direct-to-video titles. This deal did not include a DVD component. After announcing the deal to the media, Netflix shares rose 14%. It was estimated that the company would be paying over $350 million a year for the Disney catalog. Posted in Uncategorized and tagged 2010s, Acquisition, Animated Feature Film, Business, Feature Film, Live Action, Television. Bookmark the permalink.